Following swiftly on from Croatia, Portugal soon became the next addition to the Affidea family as the country rebranded its operations. Starting with the internal, team-building event on Saturday 16th, followed by a public launch on Tuesday 19th, both occasions were centred around the all-new Setúbal centre. 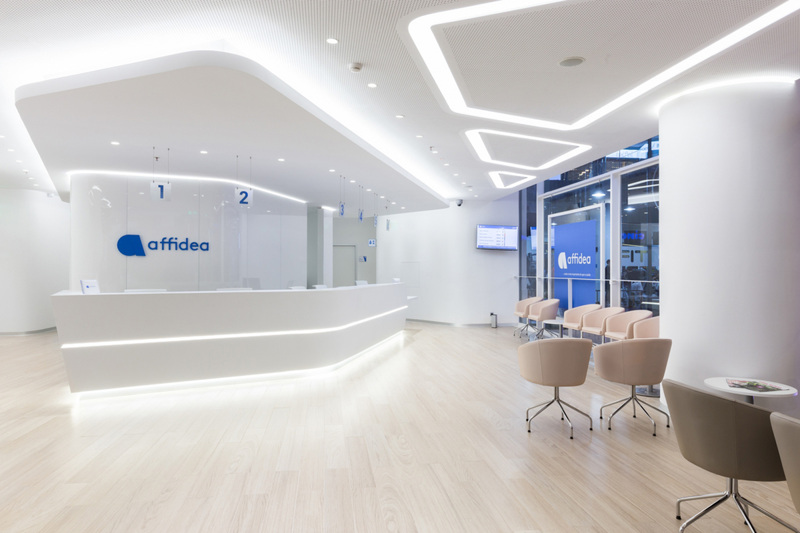 The first centre to be designed according to brand new Affidea guidelines was opened by Chairman Richard Smith, CMO Dr Rowland Illing and Affidea Portugal CEO Miguel Santos, followed by a tour of the impressive facilities. The delighted CEO commented "Our baby (Affidea Setúbal) is already a success, winning the highest praise of all who visit it. It was an honour to have with us on this special day, our Chairman and many members of the Executive Committee." Affidea Portugal staff were also in for a day of fun and celebration as they were brought into Setúbal from all over the country, shown the centre of the future by their colleagues there, and then taken to the nearby School of Tourism for some special workshops on preparing food and beverages and even a little beauty, for those ladies seeking extra tips. CEO Miguel Santos, Brand Strategist Peter Economides and Corporate Marketing Director Michal Korczeniewski all rolled up their sleeves to make sushi, oysters, traditional Portuguese tapas, cocktails and chocolate truffles! All the fun was followed by an informal dinner, speeches from the hosts, and a truly celebratory party. "We named it Affidea Day! Let's Celebrate! We celebrated the rebranding and the remarkable results achieved by our teams in the last years. Even during our event the team exceeded expectations, with their enthusiasm and energy, making this day a truly memorable one," beamed the CEO.